Tiffany Haddish has done it again! She changed out of her Eritreann princess look from the red carpet and into her favorite white Alexander McQueen gown to present an award. Allow me to refresh your memory, this is the same $4,000 dress she wore twice before at major events. While most would consider multiple wears a fashion fail, Haddish calls it smart consumerism. 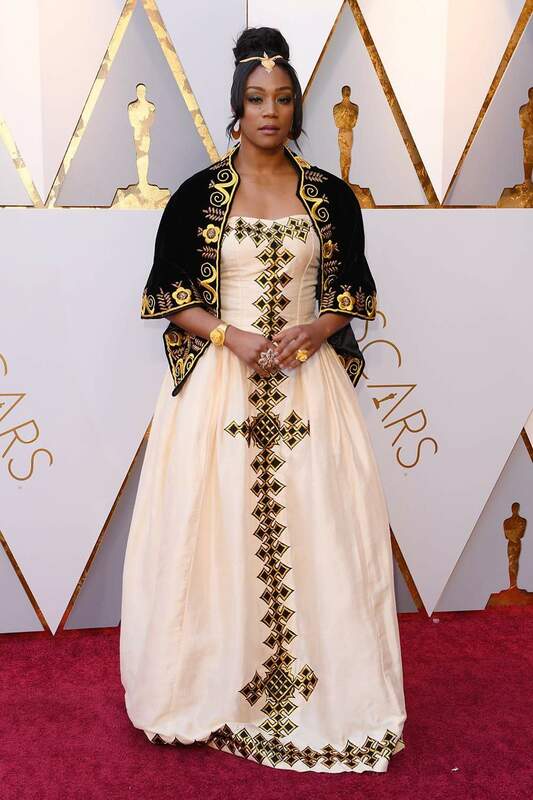 On Sunday evening at the Academy Awards, Haddish walked out on stage in her beloved dress, with her heels in her hands and a pair of shearling slippers on her feet. 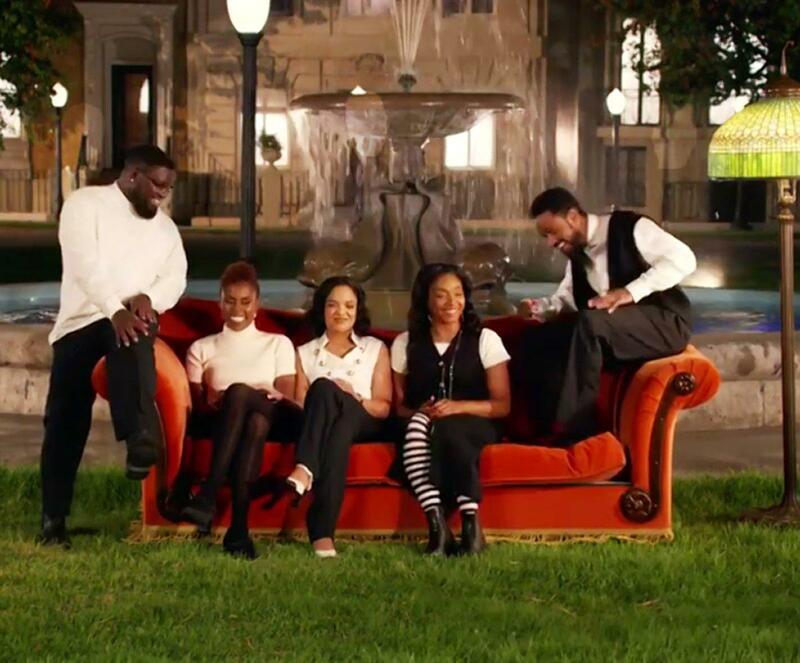 Leave it to Haddish to bring comedy to the look and the show. 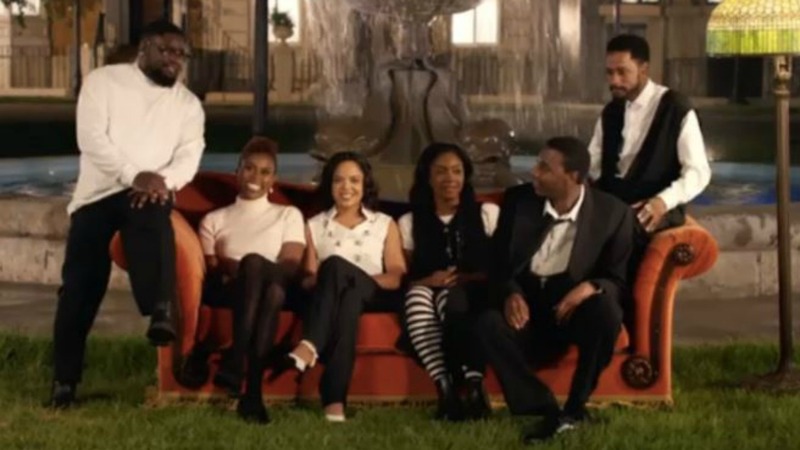 Jay-Z has used the classic sitcom Friends as inspiration for his new video, “Moonlight.” Directed by Alan Yang, the African American version of Friends featured an ensemble of A-list actors and comedians including Jerrod Carmichael who played Ross; Issa Rae who played Rachel, Lil Rel Howery who played Joey, Hannibal Burress who played himself, Tessa Thompson who played Monica and Tiffany Haddish who played Phoebe.